Drugwatch content is legally reviewed for accuracy and quality. Examples of trusted legal reviewers include qualified mass torts lawyers and certified paralegals. Drugwatch writers gather lawsuit information by studying court records, watching lawsuit proceedings and speaking with experienced attorneys. People from across the U.S. have filed lawsuits over several models of Smith & Nephew’s hip-replacement implants. More than 500 of those lawsuits have been combined in a major federal litigation and more lawsuits are expected to be added to it. As of April 2019, a total of 587 lawsuits over Smith & Nephew’s Birmingham Hip Resurfacing (BHR) hip implants were pending in multidistrict litigation (MDL) in a Maryland federal court. The MDL was created in April 2017 when the U.S. Judicial Panel on Multidistrict Litigation combined the first 28 cases. It involves lawsuits from across the U.S. and has the potential to include a large number of new cases in the months to come. Attorneys also have been filing claims over Smith & Nephew’s Modular SMF and Modular Redapt Revision Femoral Hip. The company recalled 2,000 of the devices in 2016. Separately, Smith & Nephew quietly settled some individual actions over its R3 Acetabular Hip System in 2013. The company had recalled several thousand units. 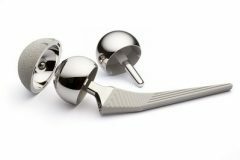 Like many other hip replacements in major litigations, Smith & Nephew BHR systems use a metal-on-metal design. Studies have found the wear between metal parts can release metal ions into the body. Elevated metal levels can cause a condition called metallosis which, in turn, can lead to other serious complications. People who filed lawsuits cited metallosis in their complaints. In January 2011, Alberto Grazia received a Smith & Nephew hip implant at Euclid Hospital in Euclid, Ohio. A Birmingham Hip Resurfacing (BHR) system replaced his right hip. Grazia’s left hip was also replaced with a BHR system in July 2011. Grazia endured severe pain after his second hip implant. It was so bad that surgeons had to replace his left hip implant in April 2016. In December 2016, Grazia filed a lawsuit against Smith & Nephew. It was later included in the MDL over BHR implants. He claimed “metal shedding debris” from friction between the hip-replacement parts led to his persistent pain. Lonnie Taylor of Boca Raton, Florida, had his left hip replaced with BHR system in April 2009. He had his right hip replaced with a BHR system in June of that same year. In 2018, Taylor needed revision surgery to remove and replace the BHR implants because of severe pain. Surgeons replaced the right hip in January and the left one in May. Taylor filed a lawsuit in August 2018. It is part of the MDL. At the time of the right hip revision, Taylor’s surgeon “documented extensive damage to Mr. Taylor‘s right hip anatomy due to severe metallosis,” according to his lawsuit. “Although Smith & Nephew was aware of the risks associated with the BHR for many years, it did not inform [Taylor] or his healthcare providers until 2015 when it was too late for Plaintiff to avoid the BHR product,” his lawsuit claimed. Smith & Nephew issued a field-safety notice on its BHR implants in 2015, saying the devices posed a risk of dislocation, fractures and other complications that could require surgery to correct. In addition, the UK-based company recalled its R3 Acetabular Hip Systems in 2012, and its Modular SMF and Modular Redapt Revision in 2016, over issues serious enough to spark more potential lawsuits. Smith & Nephew recalls 4,000 R3 Acetabular Hip Systems in the U.S. after reports of failures and complications. First lawsuits over the R3 Acetabular Hip Systems are filed; the company quietly settles most R3 cases. The company’s annual report shows it set aside $203 million to cover lawsuit costs. Smith & Nephew recalls 2,000 Modular SMF and Modular Redapt Revision Femoral Hip Systems. Eight people injured by Smith & Nephew hips ask a federal panel to combine their lawsuits into an MDL. U.S. Judicial Panel on Multidistrict Litigation combines 28 lawsuits over BHR system into an MDL. The MDL grows to 587 lawsuits. Smith & Nephew hip implants named in lawsuits have been the subject of hip replacement recalls or reports of serious complications such as loosening, fractures or the need for revision surgery. At least five models have been the subject of individual lawsuits since 2013. The BHR system is the only one currently involved in a mass litigation. Smith & Nephew has paid more than $40 million to settle past claims of wrongdoing brought by the U.S. Department of Justice. In 2007, the company paid $28.9 million to resolve an alleged kickback scheme. The federal government had accused the company of paying doctors to use its devices. In 2014, Smith & Nephew settled another case with the federal government for $11.3 million. The lawsuit involved devices sold to Veterans Affairs hospitals. The contract required components be made in the U.S. The federal investigators claimed Smith & Nephew passed off Malaysian-made implants claiming the devices were made in America. Complications from a hip implant?